The hamster. 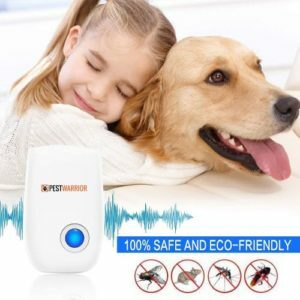 They are a wonderful pet for young children and a lovely member of the family. A hamster is relatively easy to care for so they don’t make heavy demands on your time. They are cuddly and cute and have little to no odor themselves. |Sounds like the makings of a perfect pet to me. If you have a hamster or are thinking of getting one, check out this information all about hamsters. Everything you need to know is right here. A hamster is a solitary rodent that likes to burrow. Their defining features include a stout body with a short tail and cheek pouches that are used to carry food. They have luxurious fur that comes in many colors like black, brown, white, red, grey and yellow – or better yet, a combination of all these colors. Depending on the breed, hamsters can range in size from as small as 2 inches and up to 13 inches long. They are native to South Asia and Europe. In the wild, they tend to live in warm, dry areas that are sparse on vegetation. Hamsters are generally happy to be cuddled and like spending time with their owners. When scared though, they can nip you so it’s always prudent to be careful when handling them. 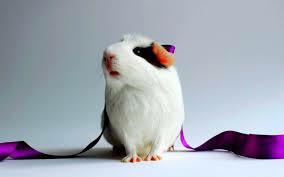 The 5 hamster breeds that are kept as pets include Syrian Hamsters, Dwarf Campbell Russian Hamsters, Dwarf Winter White Russian Hamsters, Robrovski Dwarf Hamsters and Chinese Hamsters. The most popular within these breeds is the Syrian hamster. Hamsters make great pets but unfortunately, your hamster friend won’t live as long as you’d like. This can be very upsetting to children who grow fond of their hamsters so bear this in mind when you are bringing a new hamster home. To help with the sadness, it is said that one year in a hamster’s life is like 25 years to us. When you think of it that way, they live a pretty long time. The average lifespan of a hamster is 2 years. To give a broader range, a hamster will live anywhere from 1.5 to 3.5 years. A hamster making it to the age of 4 is rare. This is just an average and many factors determine your hamster’s lifespan. There’s genetics which you can’t do anything about but luckily there are other factors that you can control to help Mr. Hamster live as long as possible. Will you be one of the few lucky ones that have a 4 year old hamster? We’ll discuss these factors in depth as we go but the main things that will impact hamster lifespan that we can control are their diet, their exercise, their living conditions and a high quality of care. 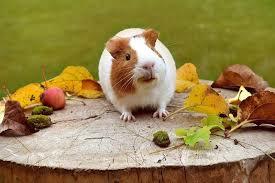 Hamsters are omnivores meaning they eat both plants and animals. This is likely surprising to some as we expect them to be vegetarians. You can purchase pelleted food commercially that will be tailored to your hamster’s ideal diet. In the wild, they would typically consume insects and their larvae, seeds and cereals. Seek advice from your local pet store or veterinarian if you are unsure of which food to buy. We all know that variety is the spice of life and this is true for hamsters too. Variety in their diet is good for them. Who wants to eat boring pellets all the time? Treat your hamster to fresh fruit and vegetables when you can. Stick to harder vegetables like broccoli, cauliflower, carrots, cucumber, romaine lettuce and other greens. Apples are a good treat but should be given sparingly – no more than once every 2-3 days and definitely less than the vegetables. |make sure to wash all produce thoroughly with water before giving it to your hamster. Avoid poisonous foods at all costs (obviously) which are things like apple seeds, almonds, cabbage, garlic, rhubarb and any of our “junk” food like chocolate or other processed foods. Place the hamster food, whatever it is, on the floor of their cage or in a very shallow dish. Otherwise, a deep dish will be almost instantly turned over and poured on the floor anyway. Along with the food they eat, hamsters need access to a constant supply of fresh water. Install a sipper tube or a water bottle with a pinch tube and make sure it is checked and filled daily. Also, ensure it doesn’t leak all over the place. You’re the one who will have to clean it up! Hamsters do not have strong suction skills so make sure your hamster is able to get the water it needs before leaving them alone. Did you know that the hamster’s teeth never stop growing? It’s true. 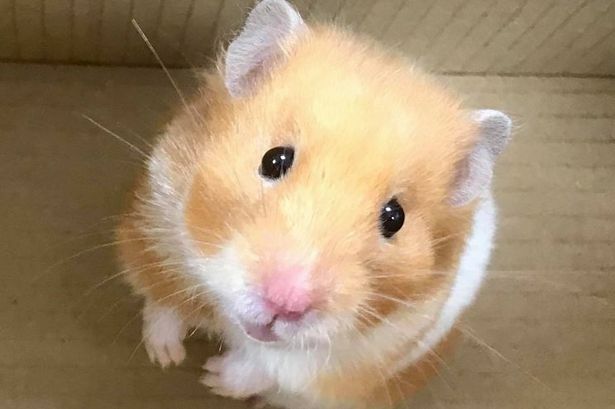 If your hamster doesn’t wear down its teeth naturally, they can have serious dental problems like pain and infection from the overgrown teeth. 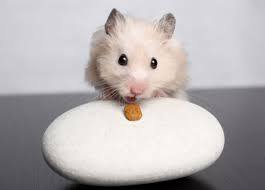 Make sure your hamster has lots of safe food to chew on and inspect their teeth once a week to make sure there are no problems. Other signs to watch out for that may indicate your hamster is having dental problems are a loss of appetite and weight loss. If you dare, you can also smell your hamster’s breath. Terrible breath and excessive drool are signs they may need some professional dental care. Baby hamsters, called pups, are born with a full set of teeth. They keep these same teeth for their whole lives which is why it’s so important that their teeth are well cared-for. It’s a good idea to have your hamster checked out by a veterinarian once a year. They can identify any dental or health problems and guide you towards the appropriate treatment. 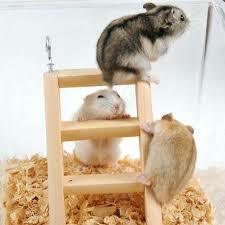 Hamsters have a very high metabolism and seem to have endless energy. It’s important for you as a pet owner to know this so that your hamster has access to this healthy activity. An active hamster is a happy hamster. Keep them on their toes with lots of things to do in their cages. You should definitely give them access to a hamster wheel in their cage. If you have a large enough space then you could also install a network of tunnels that they can dash in and out of. They’ll thank you by living a long life. Make sure the hamster will isn’t too small for your hamster. For example, a Syrian hamster needs a 12” wheel to be comfortable and dwarf hamsters need a 6.5-8” wheel. If you’re not sure, watch your hamster while he’s running on the wheel. If they are running with an arched back then the wheel is probably too small. Hamsters should also have a safe play area outside of their cages. A new environment will be stimulating and give them even more space to run around. You can purchase hamster playpens for this purpose or even build your own. Add some toys and let your hamster loose. When your hamster is in their play space, use this opportunity to clean their cage. Another opportunity for exercise is a hamster ball. Remember to use these responsibly because failure to do so can harm your hamster. 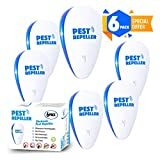 Pick a reputable brand that has ventilation holes that are small so that your hamster’s feet won’t get stuck. Clear plastic is best since their vision isn’t great and tape the door shut because they are known to come open. That way you’re not searching the whole house for a tiny hamster. Keep an eye on your hamster while in the ball just to make sure he’s ok. When you’re out and even when you’re at home, your hamster will likely spend the majority of its time in their cage. For this reason, it’s important to make the cage as pleasing as possible. 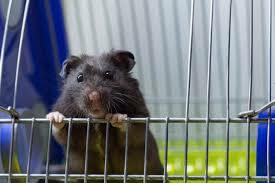 As we’ve discussed the cage will need to have food, water and an exercise wheel but what else does it need? A good rule to follow is that the bigger the cage, the better. Hamsters need as much space as you can realistically give them. A bigger cage allows you to put more enriching activities in it as well. The minimum amount of space a hamster needs is 450 square inches of floor space. This is the bare minimum and you should strive for bigger than this. Get a wire cage rather than a plastic one or an aquarium. The wire cage allows the powerful ammonia smell from the hamster’s urine to escape rather than build up like it would in a plastic enclosure or aquarium. Once you have your cage, you need to decide where to put it. Hamsters don’t like high pitched noises and are sensitive to light. Don’t put the cage in a room where the lights will be turned off and on a lot at night. 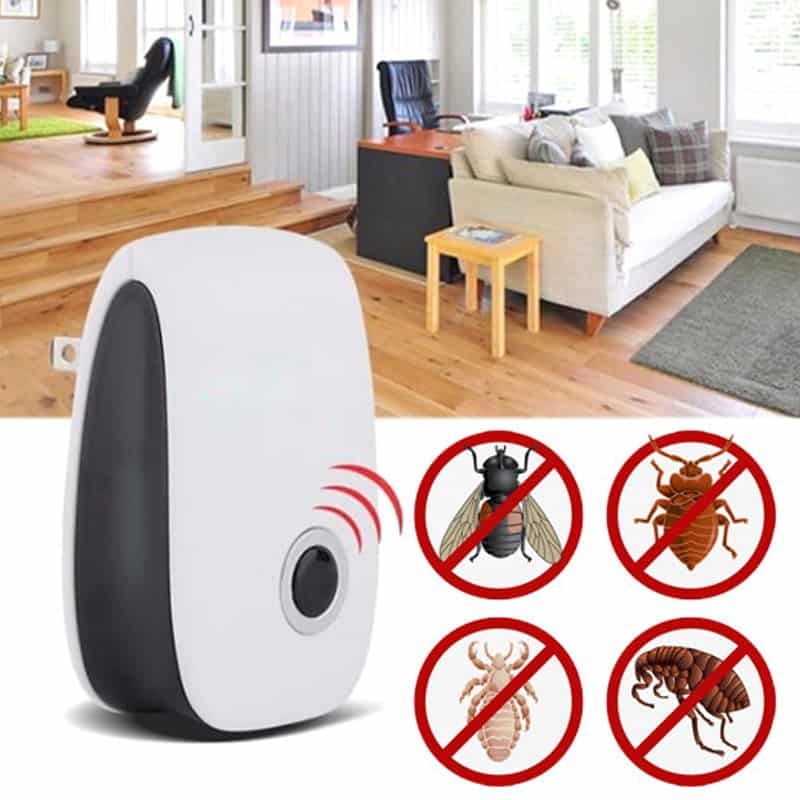 Also avoid rooms with televisions, computer screen or running water. All these things can emit ultrasound which will distress your hamster. 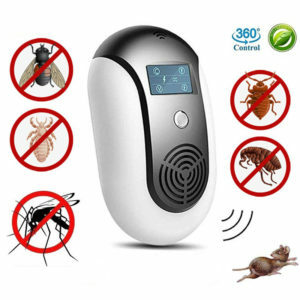 You should also avoid areas that experience radical temperature fluctuations like near an air conditioner vent or heater. Now your cage is in place, it’s time to fill it. Get toys, hamster houses and anything else that will be entertaining to your hamster. The last thing you need to add to the cage is substrate and nesting material. Hamsters are natural burrowers so you need at least 3 inches of substrate. Another VERY important function of the substrate material is the absorption of your hamster’s urine. You need a good quality substrate – saving a few dollars will not be worth it here. To recap: your hamster cage should have space, a good location, a hamster wheel, food, a water source, a hamster house and toys and substrate material. Anything else you add is just extra and I’m sure would be appreciated if space allows. It’s important for every hamster owner to know how to control odors in hamster cages. The smell of urine and/or feces is not anything we want to smell in our homes. Hamsters are very clean animals by nature but their bathroom routine can still cause those horrible odors. 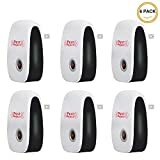 First and foremost, and probably the most logical thing to do to control odors in hamster cages is to change the substrate and nesting material frequently. Removing the soiled substrate should remove most of the odor. The substrate you use should be absorbent so hardwood shavings are your best bet. Look for brands with wood pulp and avoid things like straw and hay as they don’t absorb very well. A typical hamster will only urinate in one or two areas of its cage. Lucky for us, we can spot clean these areas daily to severely cut down on odors. Spot cleaning means that you remove the soiled substrate from those one or two areas and replace it with fresh stuff. This is will save you time and money. Once a week you should thoroughly clean your hamster’s cage while he’s in his play area. Remove the substrate entirely and all the contents. 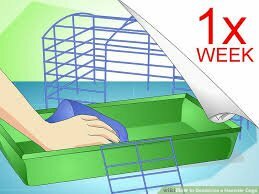 Wash the cage with dish detergent and water. Make sure all the detergent is rinsed away and the cage is dry. Then, put the content back in and release your hamster into his clean paradise. If you’re feeling bold, you can also attempt to potty train your hamster to use a litter box. Yes, they make litter boxes for hamsters. Make sure you buy hamster litter refills or use clumping cat litter that is unscented and unscented. Don’t use litter that has silica dust as it can be harmful. 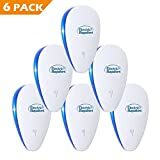 Learn which area the hamster uses to do his business most and put the hamster litter box there. Put some droppings and soiled substrate in the litter box to make it seem familiar. It isn’t guaranteed but if you stick with it, you might only have to empty the litter box to control odors in the hamster cage rather than emptying the whole thing all the time. I bet you didn’t know that hamsters are born blind. It’s true – they can’t open their eyes until they are about 2 weeks old. The average litter size for a female hamster is 7 babies but it’s possible for some to have up to 24 babies in a single litter. Imagine the strain carrying that may babies around would take on the hamster mom. The most popular breed of hamster, the Syrian, was only discovered in the Syrian desert less than 100 years ago. It really hasn’t taken them long to capture our hearts, has it? Hamsters are nocturnal. Or at least they prefer the twilight hours and are most active in the late evening and into the night. Make sure your hamster wheel is greased or they will keep you up with their running all night! The Syrian hamster will only live alone. They will fight another hamster that is in the same cage. If you have more than one then they need to be separated. On the other hand, the Russian Dwarf breed lives in groups in the wild so putting 2 or more in the same cage (as long as it’s big enough) is fine. Hamsters are hoarders. They are known to hide food and save it for later. For this reason, don’t give your hamster more food than it needs. Otherwise, he will have secret stashes of food around his cage which can become moldy and stinky. They also use their cheek pouches in the wild to save food. They will save it until they feel safe enough to eat it – away from predators and other dangers. Not even hamsters are immune to the common cold. Yes, that’s right, it’s possible for your hamster to catch your cold. They can get respiratory illness from us so try not to handle your hamster when you’re sick. If your hamster does get sick, take them to the vet right away. Hamsters are fast for their size. They can run up to 4 miles per hour. Let them loose on their hamster wheel and see what they can do! Well, now you have everything you need to know about hamsters so that you can provide the best quality of life possible to your little furry friend. Although they may only live for a few years, it’s our job to make those years as fun and fulfilling as possible. Take this knowledge and become the greatest hamster parent any hamster has ever known.